Cass and Manchester Business Schools conducted a review of all the current evidence before the start of the Ownership Effect Inquiry Hearings as part of a global literature review. 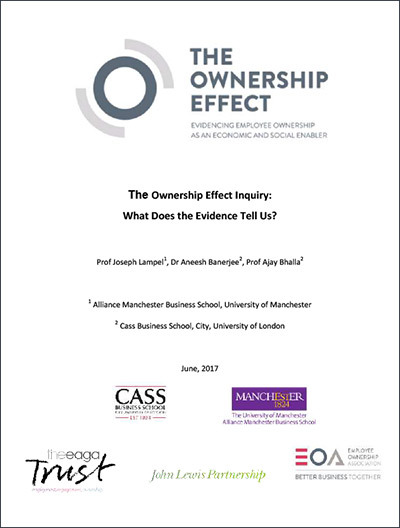 The Ownership Effect Inquiry: What Does the Evidence Tell Us? 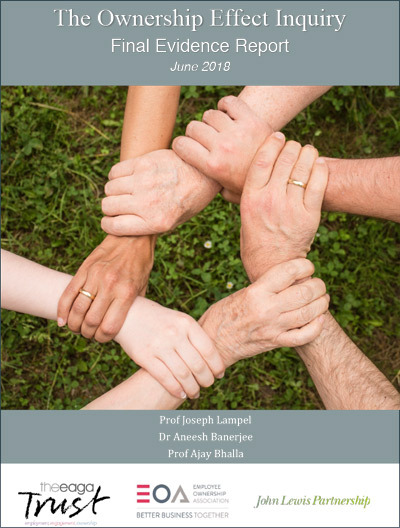 (June 2017), compiled by Cass Business School, City University of London (Professor Bhalla and Dr Banerjee) and Alliance Manchester Business School, University of Manchester (Professor Lampel) to review the existing, global research and literature on EO, together with the policy environment, key enablers and major obstacles. The report references more than 70 sources of information. The Ownership Effect Inquiry: Final Evidence Report (January 2018): the most comprehensive piece of evidence on EO in the UK, based upon oral and written evidence from more than 100 EOBs and professional advisers, supported by evidence from the above literature review. 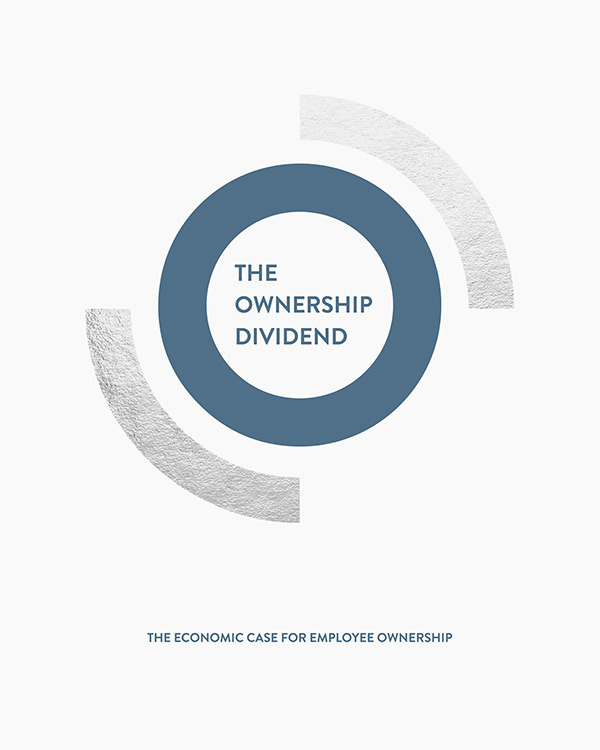 The Ownership Effect Inquiry welcomes contact from anyone interested in the issues, challenges and opportunities around employee ownership, and in how the UK economy could benefit from the growth of the sector. ©2019 The Ownership Effect - Rights Reserved.